WASHINGTON — The Pentagon took the first steps toward initiating a block buy for future F-35 orders on Wednesday, amending the department’s existing contract vehicle to allow international customers to buy the 12th, 13th and 14th lots together. In order to drive costs down, the F-35 joint program office has advocated grouping together international orders — and possibly the U.S. services later down the road — in order to allow prime contractor Lockheed Martin and its suppliers more time and resources to make investments. Wednesday’s contract modification immediately obligates $6 billion to Lockheed and sets a cap of $22.7 billion for the U.S. services’ order of low rate initial production lot 12 (LRIP 12) as well as LRIP 12, 13 and 14 for international partner countries and foreign military sales customers. “This contracting funding strategy provides stability and a steady production rate over a defined period of time which enables industry to plan and make investments that reduce overall cost and achieve greater manufacturing efficiencies,” the JPO said in a statement. That sum also includes F-35s for the U.S. military added to the budget by Congress in fiscal years 2018 and 2019: a total of 20 jets for FY 18 to be delivered in Lot 12, and 16 planes in FY19 that will be delivered in Lot 13. Lots 12 and 13 jets are set to be delivered in 2020 and 2021, respectively. 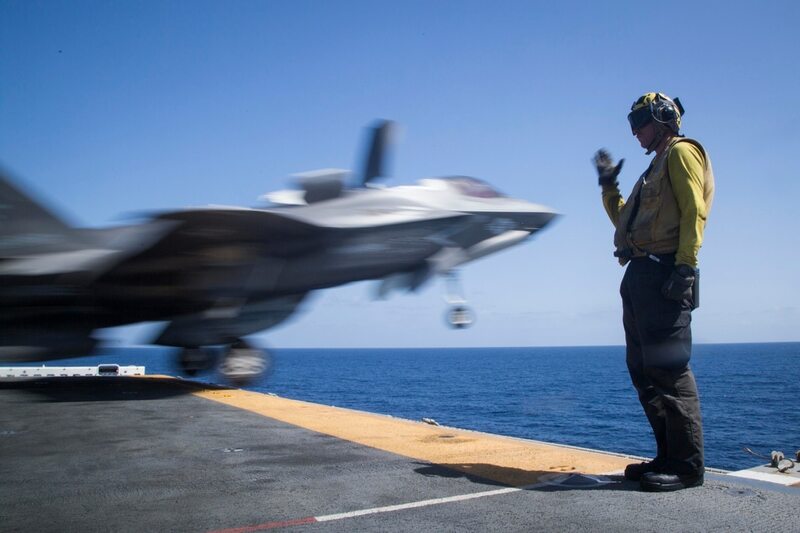 The definitization of the final LRIP 14 contract is expected to take place in 2020 — a key year for the F-35 program, in which the Pentagon expects to see prices for the conventional takeoff and landing F-35A model reach $80 million per plane — with deliveries in 2022. “This Undefintized Contract Action will provide critical funds to ensure F-35 production and cost reduction efforts remain on schedule as we partner with the F-35 Joint Program Office to finalize the formal contract agreement,” Lockheed said in a statement.